In 3-quart saucepan, heat oil over medium-high heat. Stir in onion and garlic. Cook 3 minutes, stirring occasionally, until onion is tender. Stir in zucchini; cook, stirring occasionally, 2 minutes. Stir in tomatoes; bring to a boil. 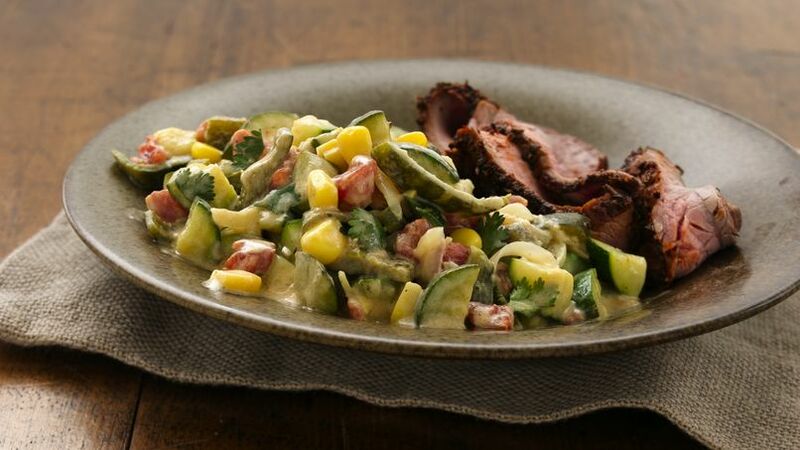 Stir in corn and poblano chiles; cook until vegetables are crisp-tender, about 4 minutes. Stir in cream, sour cream, bouillon and salt; heat through. Stir in cilantro.